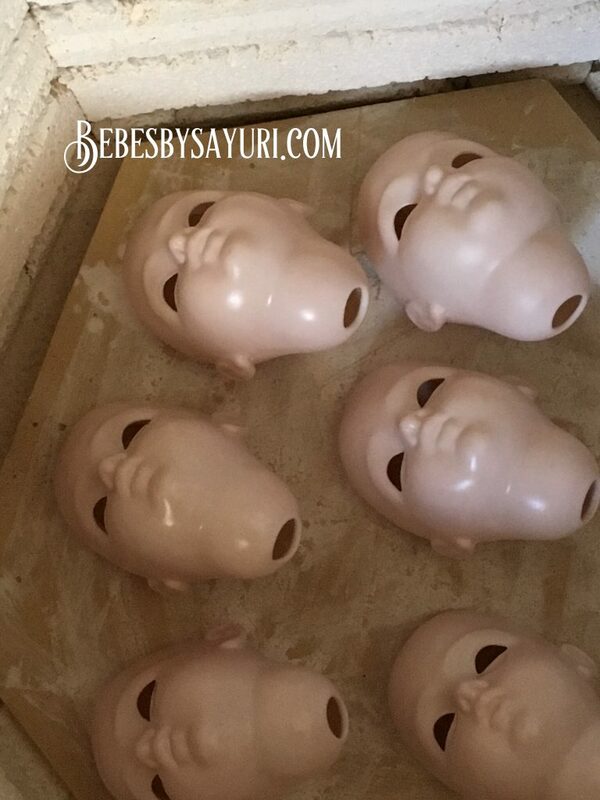 I am working on body parts for 14 inch Bru’s that I will be using for May workshop. We will be painting Bru Jne 4 head and lean how to make Chevrot body. It is 4 day class and I will be providing finished body parts such as legs and arms, SP so that we can finish assembling during workshop. 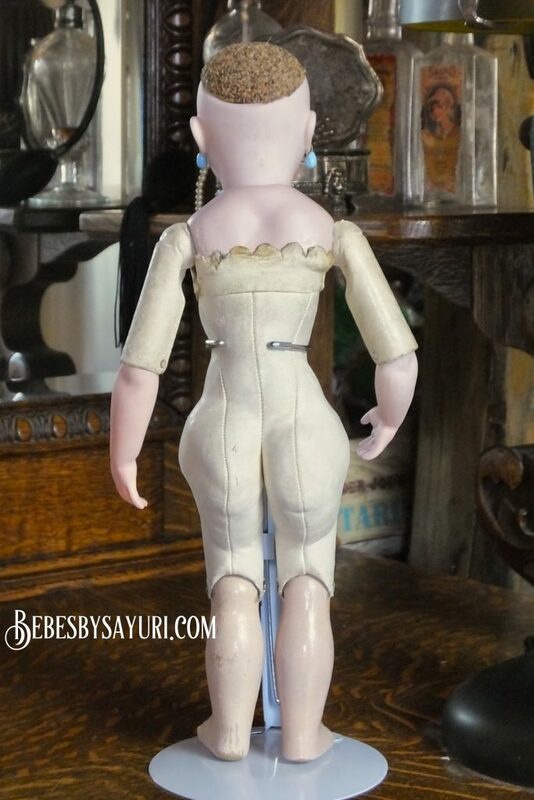 I am not use to working with multiple dolls and this project turned out be a bit challenging but I will get there! 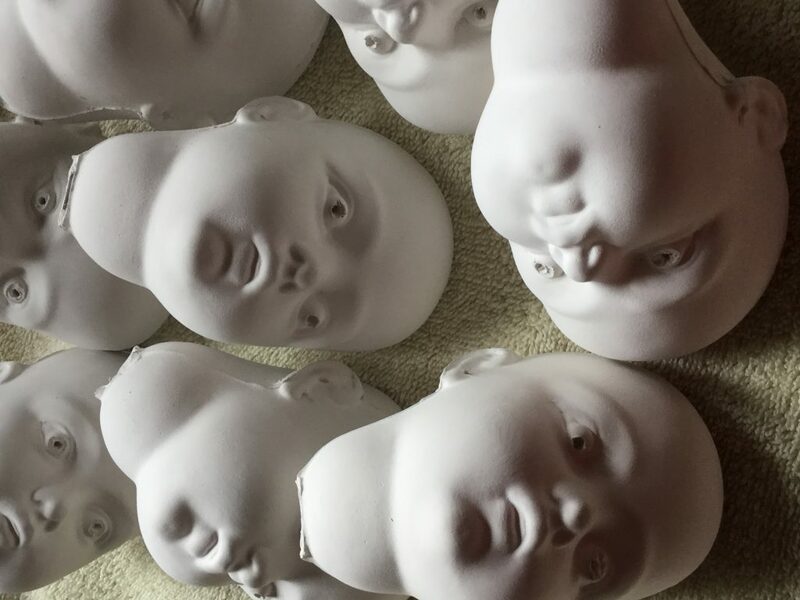 I am going to bake and paint them after carving. I have picked a name of buyer this morning. This 14 inch Bru Jne 4 is now sold and I already notified a winner. 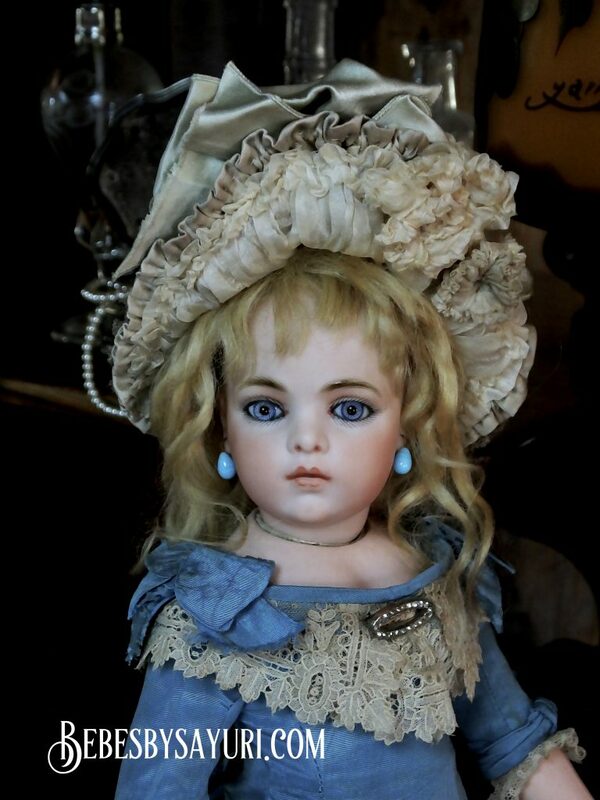 Thank you all for visiting my blog to view this doll. Please look forward my next creation! 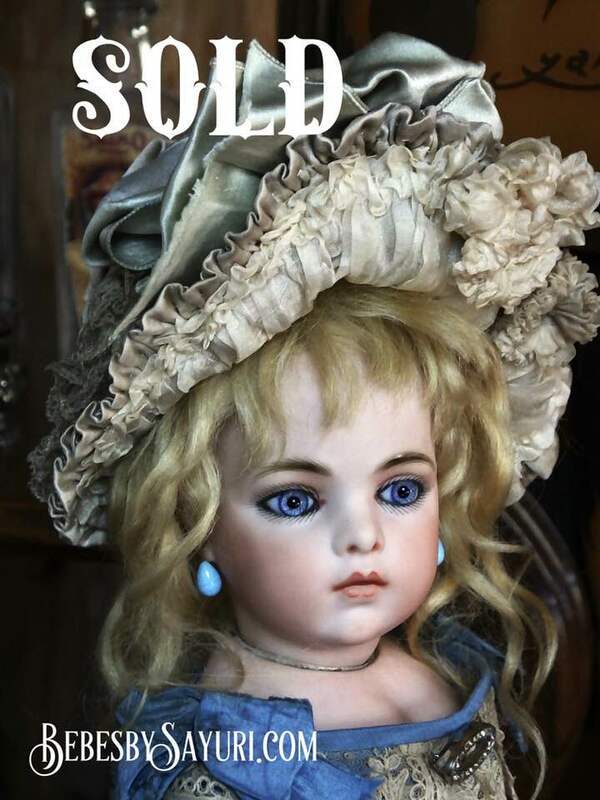 Here is my newest doll up for sale. 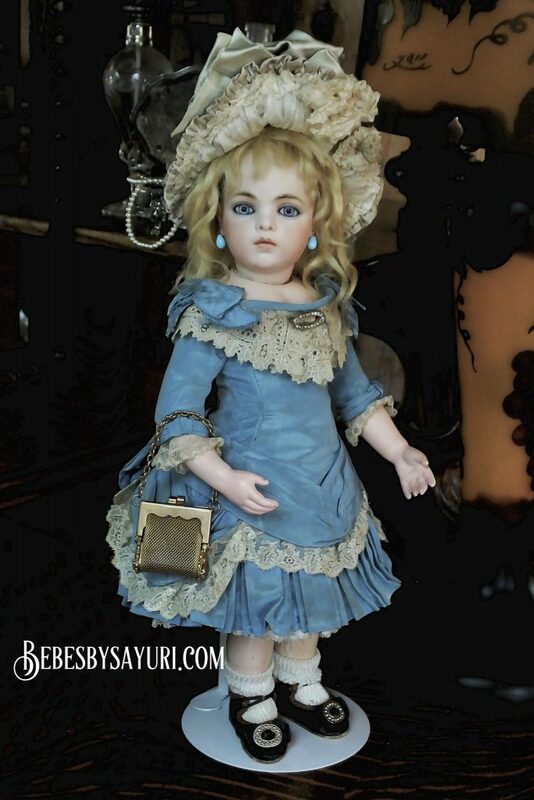 She is 14 inch Bru Jne 4 with antique Chevrot body and antique eyes. 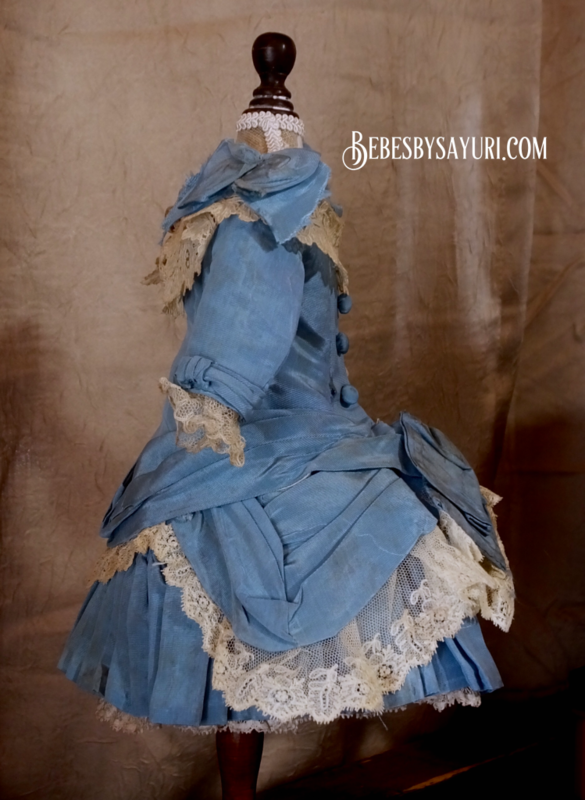 I made the head, dress,bonnet, undies and shoes. 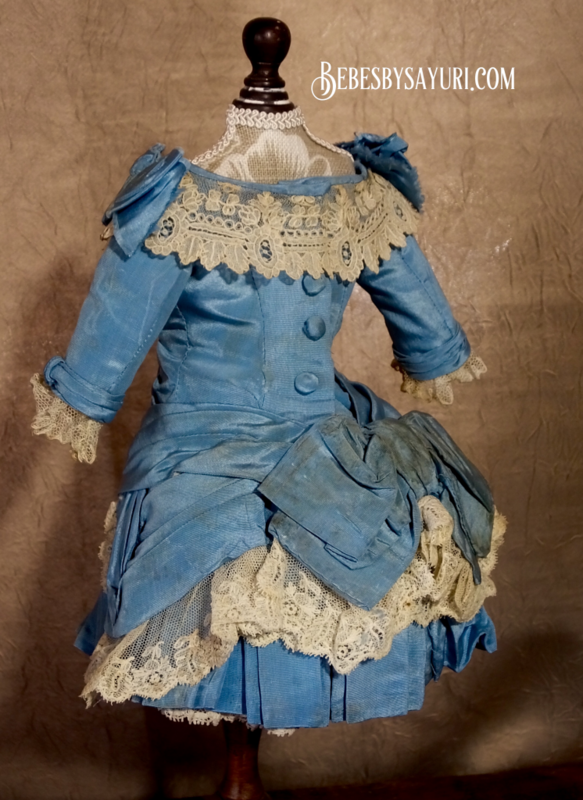 Her wig is antique mohair wig and she comes with vintage blue glass earrings and vintage mesh purse.This antique body has repair on both hands and shoulder plate. Please refer to my old entry to read detail about the body. 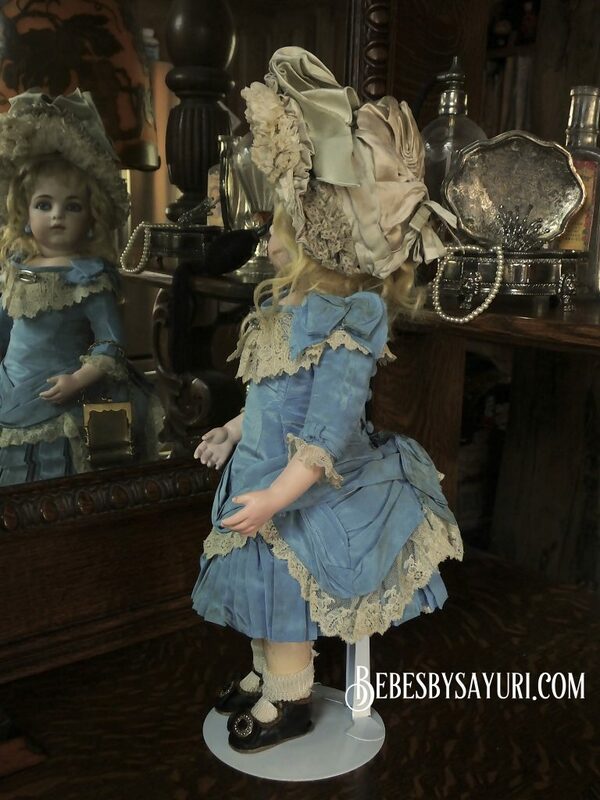 She will be listed for sale till April 22nd 6 am US pacific time. I will use lottery system to pick a lucky buyer on Sunday 22nd and will notify only to a winner. 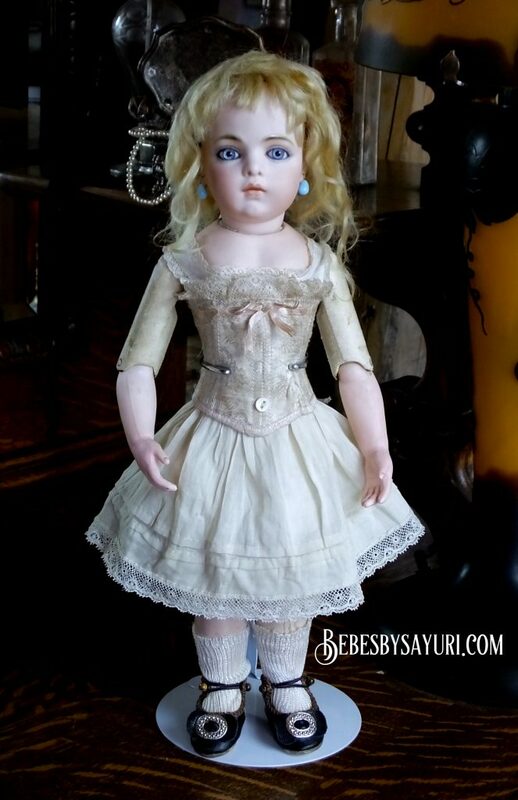 If you do not hear from me on that day, unfortunately you did not win the doll. 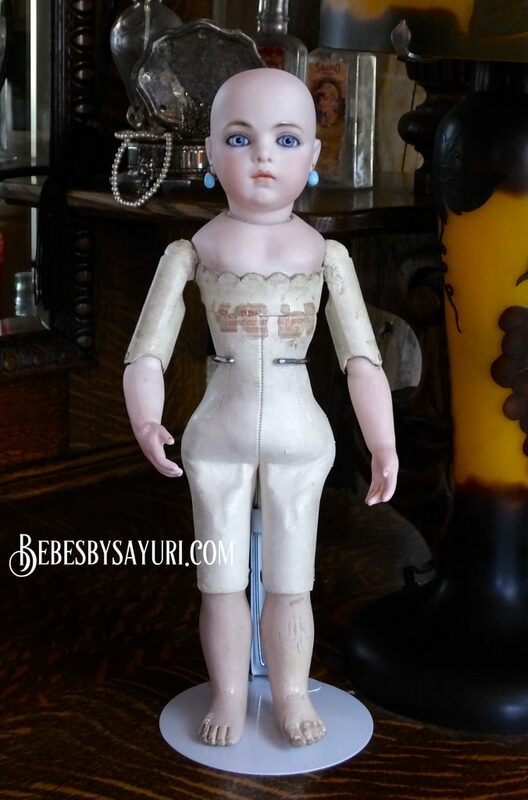 Please email me at bebesbysayuri1@gmail.com or bebesbysayuri@hotmail.com to inquire about this doll. 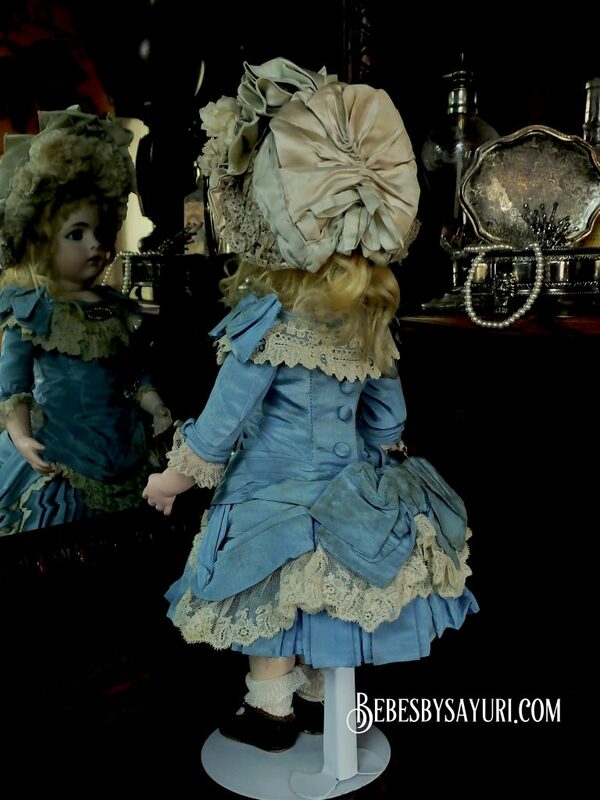 You can also read how this doll was created by checking my blog archive. 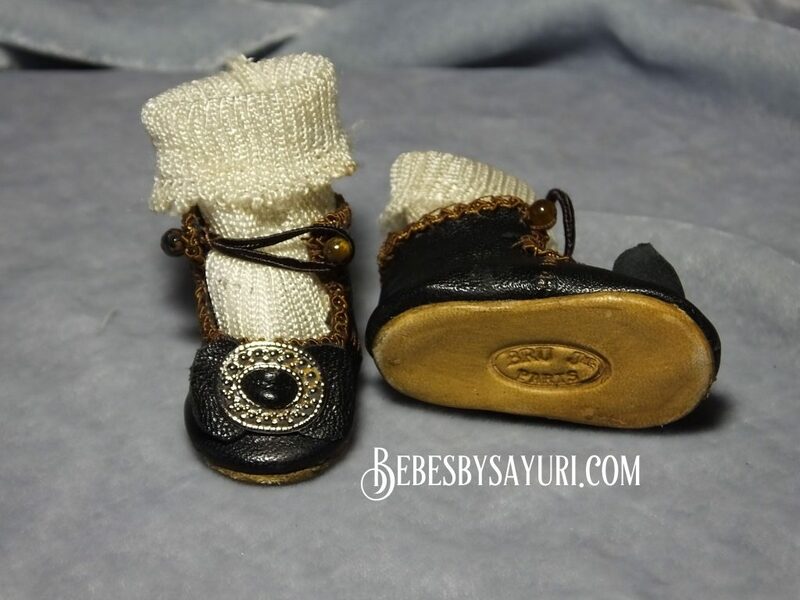 Thank you for visiting my website to view this precious little girl. I hope you enjoyed ! I made bonnet for my little Bru! 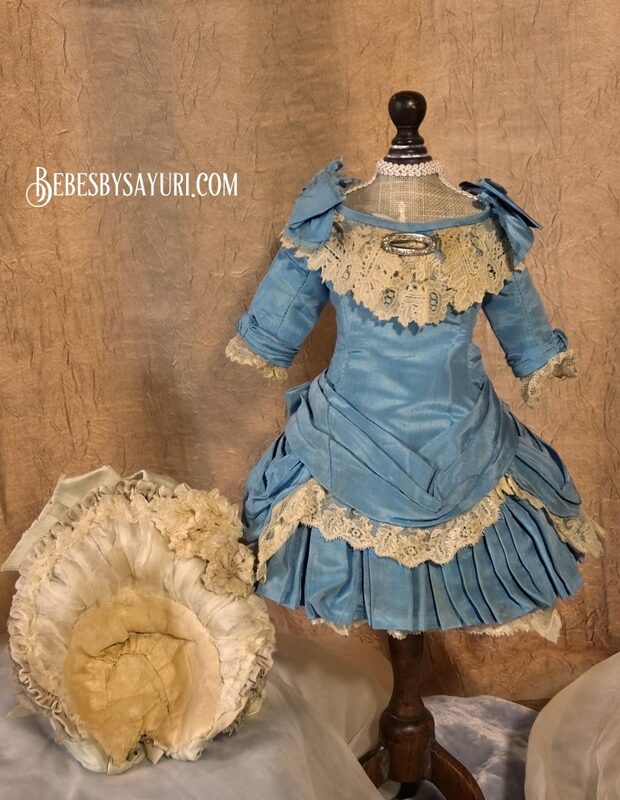 The base fabric is ecru antique silk satin and I covered front brim with antique silk organdy. 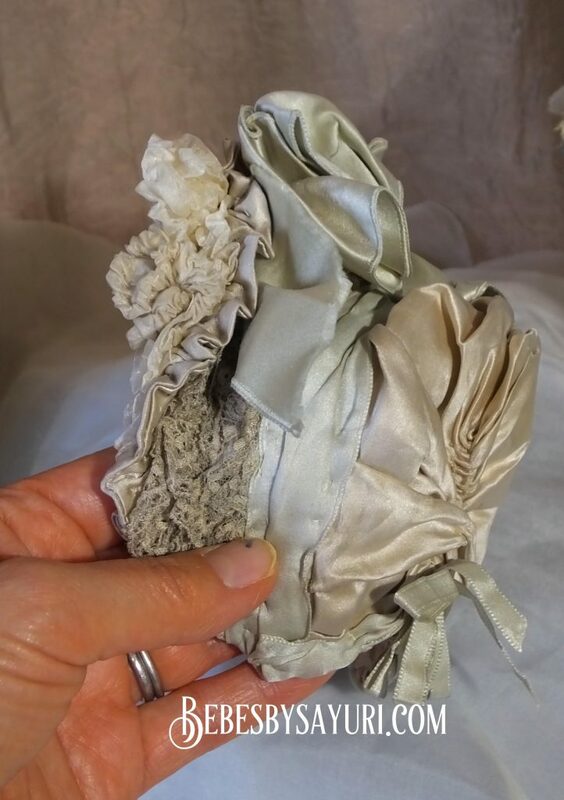 The accent ribbon is pale mint green color. 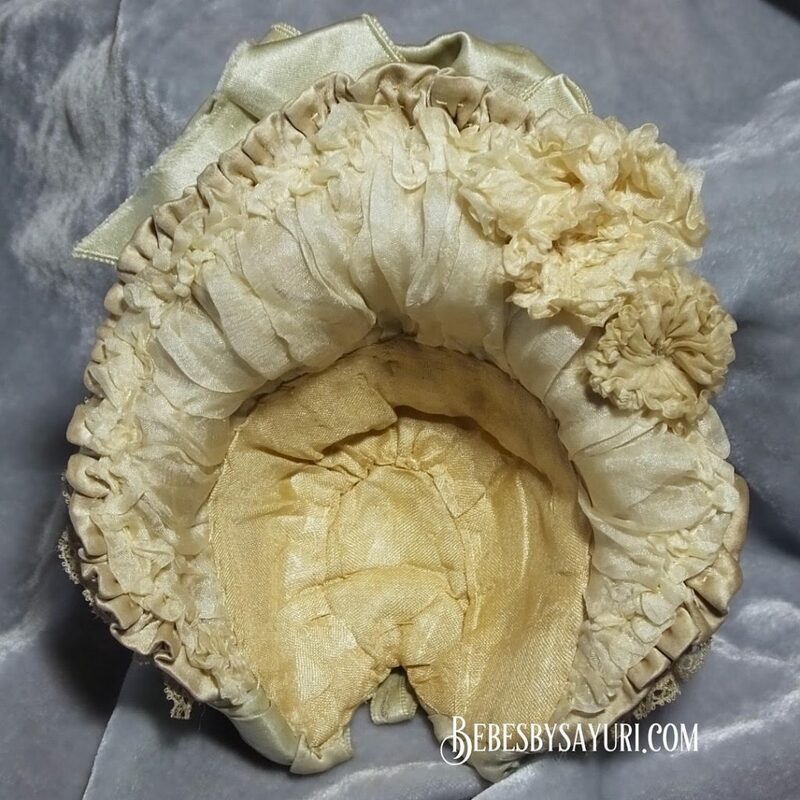 I made few flowers with same organdy fabric to decorate front brim. I use to use millinery flowers as decoration but I wanted to try something new this time. 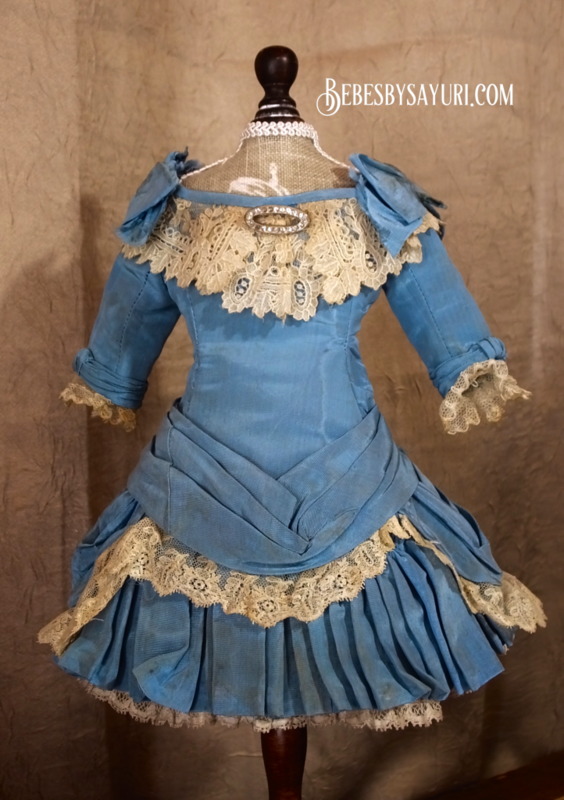 I really like chic looks of this organdy flower.